Easy dinner solutions are a must in my house. Each week is filled with activities, appointments, errands and everything else keeping me from spending hours in the kitchen. 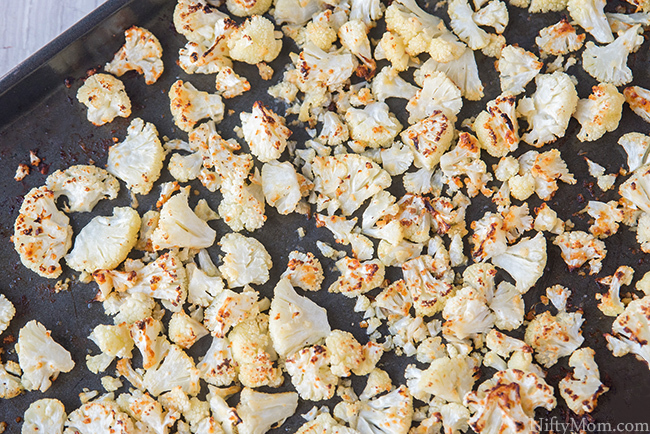 This parmesan roasted cauliflower recipe makes a great side dish for any meal. With three boys, I have to take motherhood on in full force. My days are spent doing countless loads of laundry & dishes, prying the kids off electronics and getting from one place to another… on time. Quickly rushing out the door for swim practice or to pick the kids up on time from school; whichever it is, it never seems to be easy around here. Mealtime plays into making sure we aren’t late. 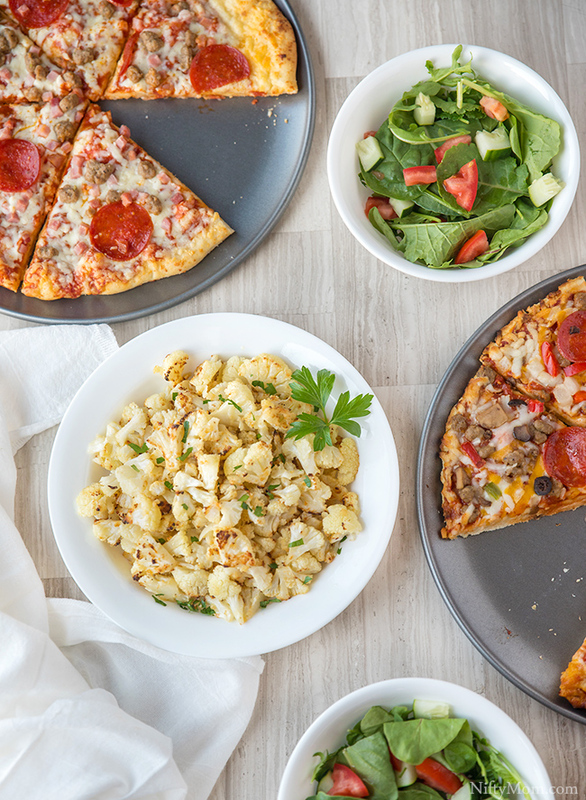 We need a quick and easy meal and my family will always agree on a slice of pizza. No matter how hectic the day is, the family will sit down for dinner to enjoy dinner together. Even if it is rushed. 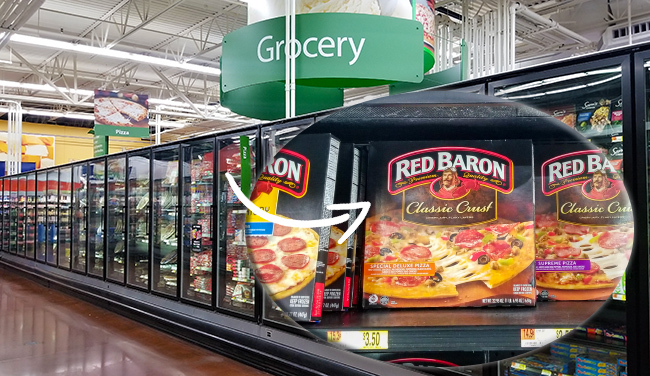 While at Walmart, I always make sure I grab a few Red Baron pizzas. 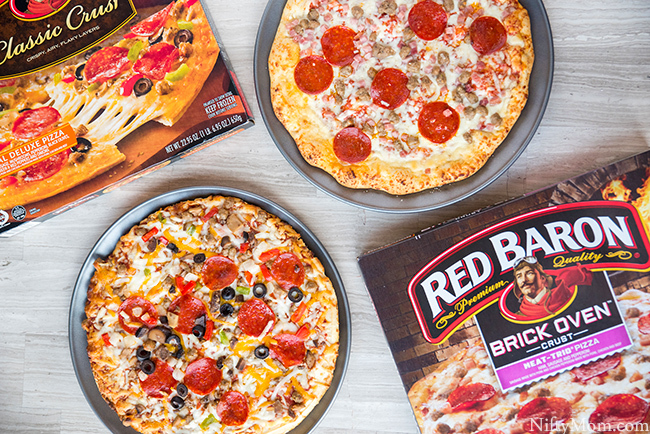 Red Baron® Classic Crust and Red Baron® Brick Oven pizzas are our go-to’s lately. 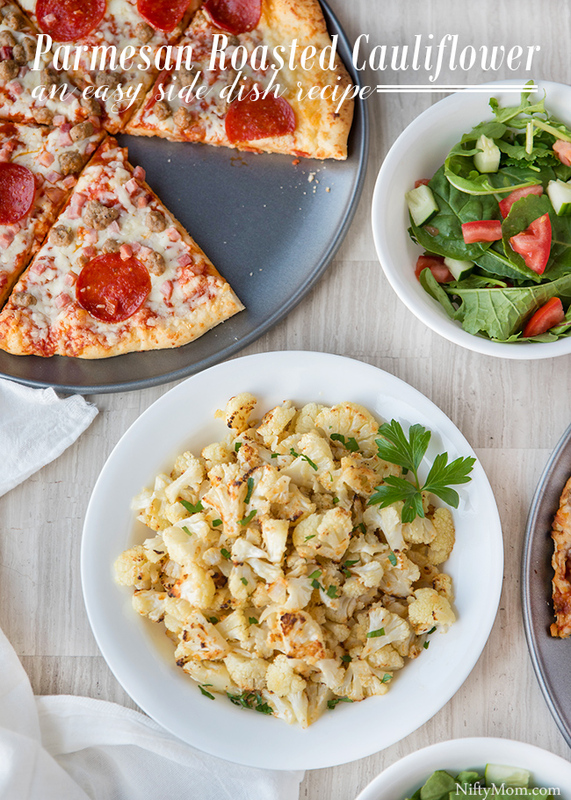 With a large variety of options, the family can indulge in different flavor combinations each time. Use this Ibotta offer next time you grab some Red Baron pizzas. Feeling lucky? 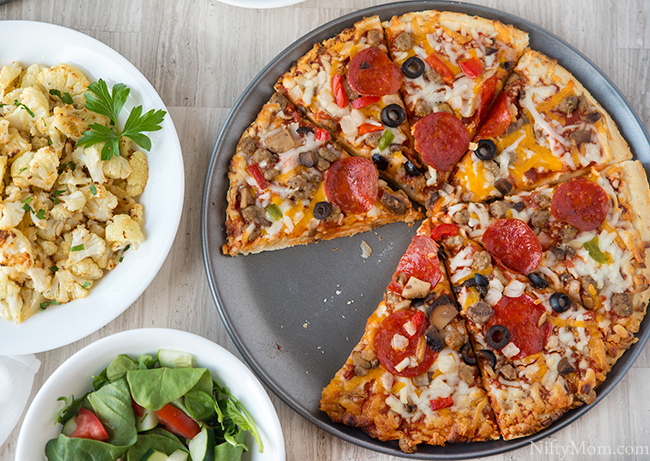 Enter for a change to win $4,295 in Walmart e-gift cards an pizza gift packs! 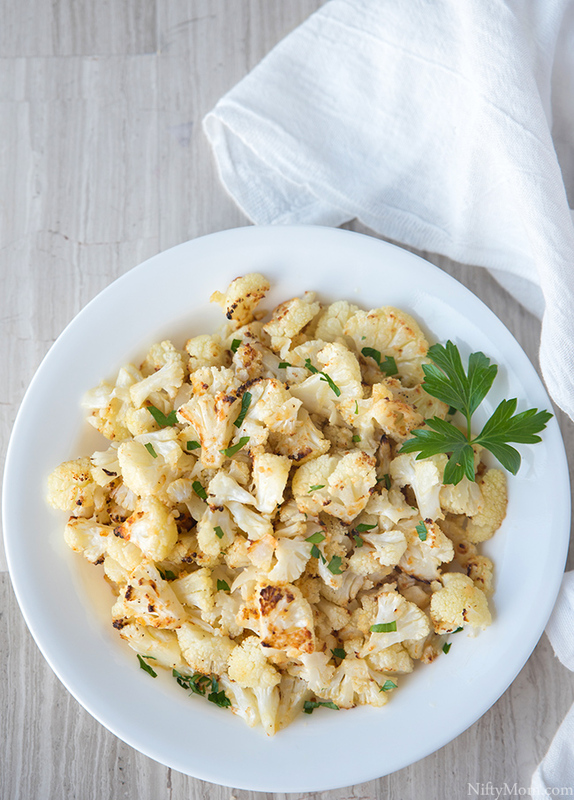 One of my favorite side dishes to serve up with pizza and salads is roasted cauliflower. 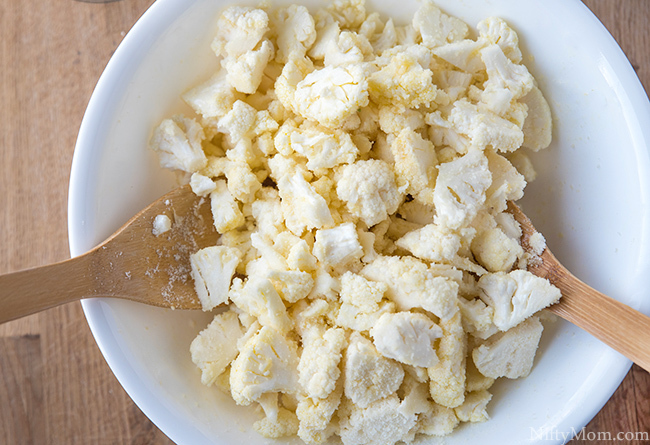 Chop up the cauliflower florets and place into a large mixing bowl. 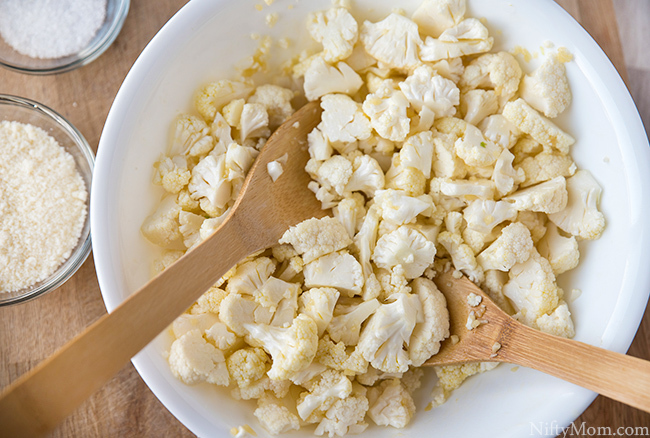 Mix olive oil and minced garlic in a small bowl, then add to the cauliflower. Toss until all the cauliflower is coated. Add the grated cheese & toss until completely mixed. Spread on a baking sheet and sprinkle with salt and pepper. 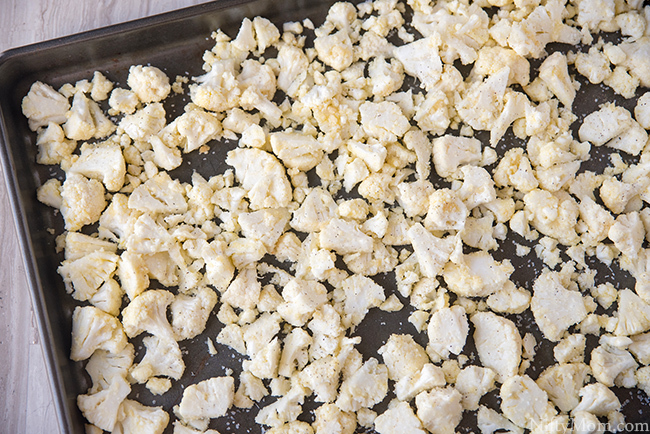 Bake for 20 minutes and then mix cauliflower. Bake for an additional 5-10 minutes. Remove and place in a bowl, garnishing with fresh parsley. 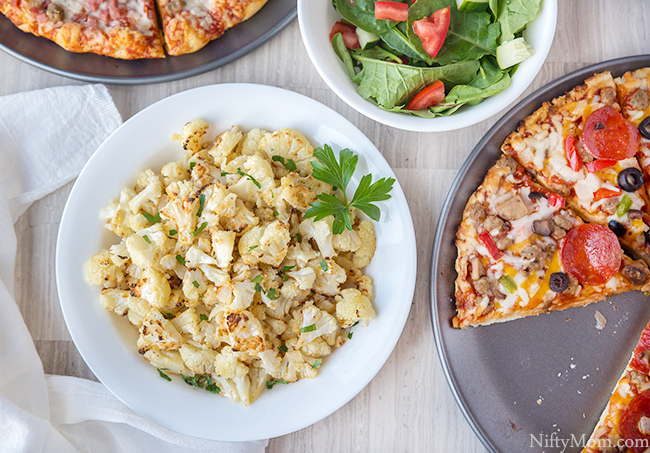 This Parmesan Roasted Cauliflower is an easy delicious side dish! Remove, place in bowl and garnish with fresh parsley. For more recipe ideas and inspiration, click here. While you are there, be sure to check out the “What’s Your Baroness Patch”, a fun quiz to see what patch fits your personality. I got ‘Fill’er Up Patch’ because What makes pizza even better? A glass of wine. What did you get?